Hector Guimard was commissioned to design the entrances to the Paris Métropolitain transportation system that opened for the Exposition Universelle in 1900. 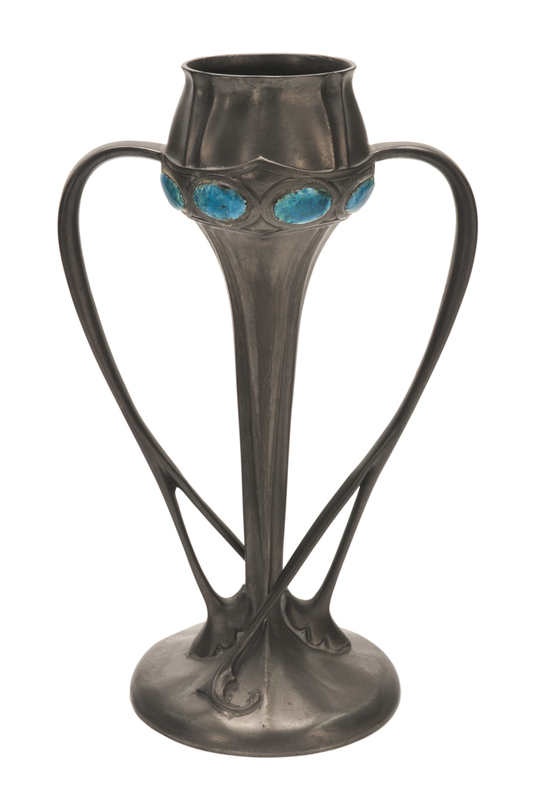 As befits the Exposition, which showcased new technology, architecture, design and art from all over the world, Guimard’s design was a fusion of glass-and-cast-iron construction techniques and Art Nouveau design. The entrances were broken down into separate standardized components—including this cast-iron baluster shield, the glass roof panels and the cast-iron lampposts—for ease of manufacture and construction. Guimard juxtaposed cast iron and the technological advances of the new Métro with the organic shapes he used in the entrance designs. While other elements of the entrance recall flowers or leaves, this baluster shield, which originally hung on the railings that surrounded the Métro entrance, resembles the ornate shell of a beetle.